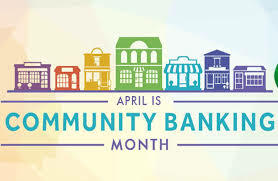 For those of you who are unaware, April is Community Banking Month, dedicated to celebrating the longstanding tradition of local hometown community banking. We here at FNBOB are proud to be a community bank! So, we are going to be doing a couple things throughout the month to show you, the customer, how much we appreciate your business and loyalty to our establishment! 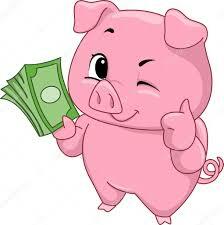 Come into either or both of our branches, ask to see the “Pig Pen” and take your guess! 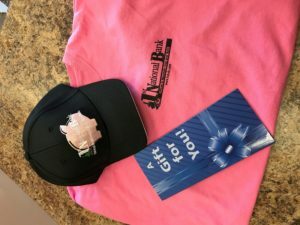 We will also take your name and current phone number so we are able to inform you of your winnings! Winners will be announced Friday (April 27th) @ 3pm on our webpage and Facebook! DO NOT have to be present to win. The bank will contact both winners by phone. Restrictions: Contestants must be a current FNBOB customer; if a contestant guesses over the amount of Pennies in the pen, that guess will be forfeited; Contestants can enter the contest at both locations but will only be permitted to win at one location, by default the next closest guess will win at the location that between your two guesses was furthest from correct. Example: John Smith guesses 54 @ Buhl compared to 55 which is the closest, but John Smith also guessed 46 @ Mt. Iron compared to 48 which was the closest. John Smith would win the Buhl contest being only 1 number different compared to Mt. Iron’s guess of 2 numbers different, and the next closest guess in Mt. Iron would win their contest. 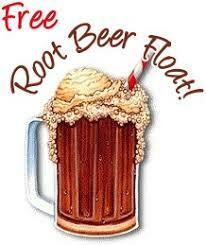 We will be serving Complimentary Root Beer Floats for anyone who wants one! Thank You All! For making what we do possible!! Make the change to FNBOB today, Community Banking done the right way!